Do you often stare in envy at the flawless, utopian-like interiors on Pinterest and wonder why your home doesn't look like that? We do. Daily. The degree of planning that actually goes into decorating these pristine rooms is mind-blowing. In fact, it's always the ones that appear simple enough to replicate that are actually the hardest. That's why we're loving mismatched dining chairs right now. It's the perfect antidote for those of us who have a serious chair fetish (we heart you forever Pierre Jeanneret). Besides, we adore way too many designers to exclude any one of them from our homes. Love an Eames lounge? Have a thing for Hans Wegner? Just can't go past a Cassina? Now you can have your cake, or chair, and eat it too. But before you start putting all your favorites around the dining table, we tapped the expertise of Homepolish residential designer, Tali Roth, and award-winning UK interior designer Abigail Ahern to bring you the definitive mix and match 101, along with their favorite designer and high-street picks to get started. Why do you love mismatching chairs? What value do they add to a room? TALI ROTH: Mismatched dining chairs bring character and interest to any space. They are a very simple way of adding color and drama to your home without spending a ton of money on styling. You can employ this design technique in any setting and within any interior style, and the effect is always dramatic. I recommend this to my bold clients who like taking risks and love playing with color and texture. ABIGAIL AHERN: Like any eclectic decorating styles, mismatched chairs are a tricky look to pull off; but do it right and something magical happens. It adds oodles of personality and visual interest to any space; stops it being too cookie-cutter or decorating by numbers; and makes your dining room uniquely yours. It's a look I'll always love. Keep an eye on the heights. 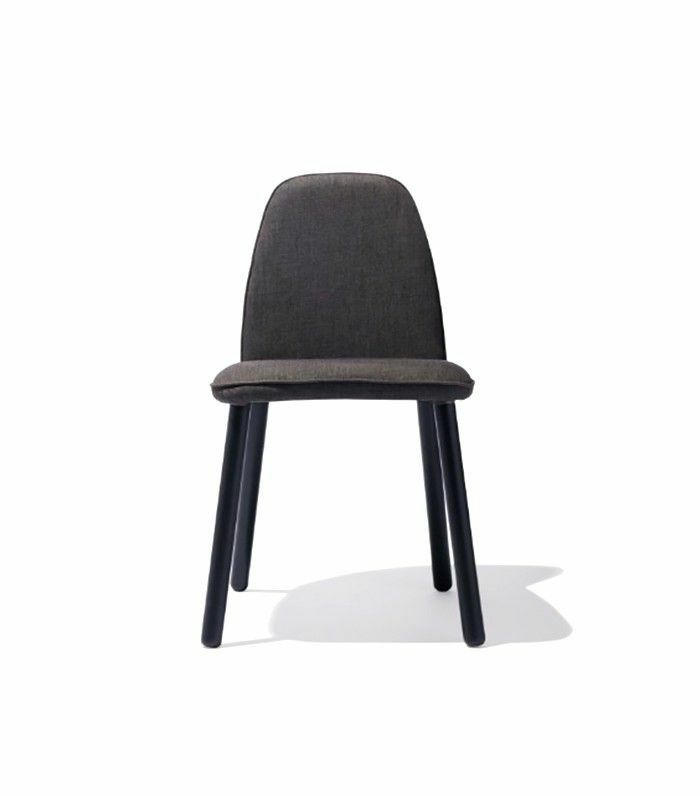 As much as I'm for a lively rhythm around a room, I think when it comes to dining chairs, the seat heights need to be pretty similar, otherwise, it can look a little disjointed. Particularly as you don't want your dinner guests bobbing up and down all over the place. What colors should you consider when mixing chairs? TR: If you want to be bold and mix different color chairs together I think you should commit to it and go all out. When using mismatched colors, I would stick with the same or a similar chair throughout for some consistency. This is one of my favorite images that demonstrate this being done beautifully. AA: For color, there are two ways you can go. Either having a rainbow assortment of the same chair in as many different colors as you like—this is particularly cool with a classic chair design. Or have an assortment of different chairs and unify them by really reigning in the palette. This is a trick I use all the time, and it's amazing how many disparate styles you can pull together by sticking to one hue. What eras should you pair together? Or does it matter? TR: Yes. I think that grouping chairs by era works really well as a point of consistency. AA: This doesn't matter to me at all. In my pad, I have tulip chairs hanging out with our own label barrel saloon chairs. They are totally different eras and styles, but the shapes create some unity. They work together because of the rule of pairs, but also because all those curves echo each other, and the shape of the table too. Can you mix vintage with new for a high/low mix? TR: A mix of vintage and new works if, for example, you use something like a couple of Thonet chairs that you found at a flea market worked in with the newer styles of Thonet chairs. I also appreciate two vintage dining armchairs sitting at the head of the table amongst a bunch of more subtle new chairs. Too much of a mixture of high and low and old and new can be an eyesore and detract from the rest of the design elements in a space. AA: Absolutely. I actually really like the juxtaposition of old and new, or something elegant (maybe an upholstered armchair) with something industrial, like a classic Tolix. Can you name some designer and high-street favorites you love to work with when mismatching chairs in the dining room? 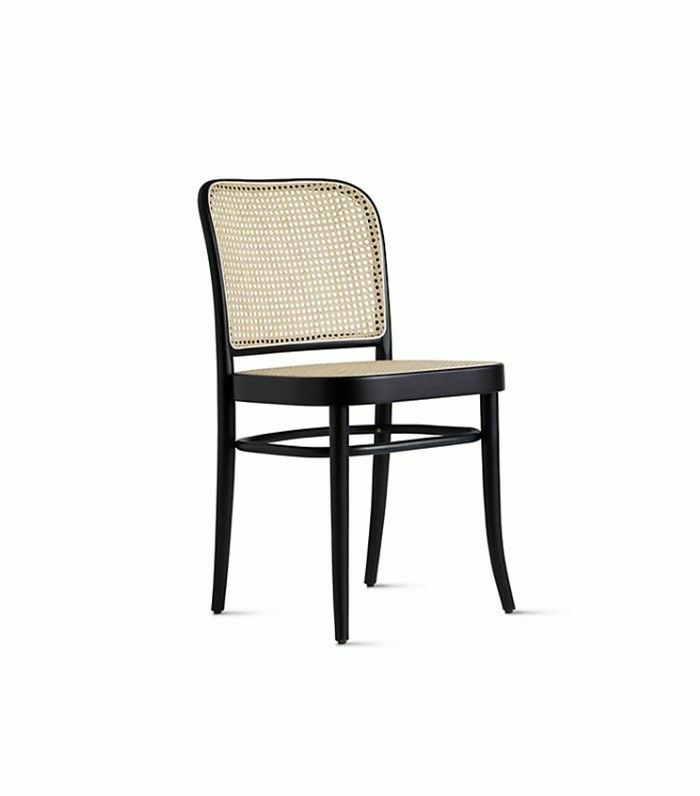 TR: I absolutely love the Hoffman side chair as a dining chair. I have a real affinity for cane, and I find this chair super comfortable, which is important. I think these chairs are so chic and classic. They really fit into an array of interior styles. 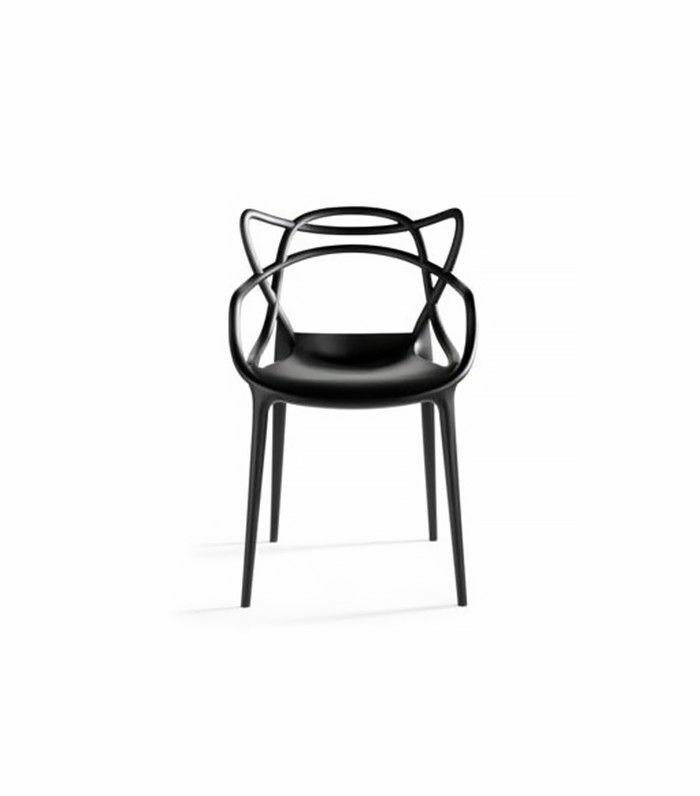 I also cannot go past the wishbone chair. They are so comfortable and have the most beautiful craftsmanship. I think these are a real investment and they look super stylish in straight up oak or painted in any pop of color. When it comes to the high-street brands, I typically end up using something from West Elm for the majority of my projects. They are on trend, affordable, and look perfect paired with high-end designer furniture items. 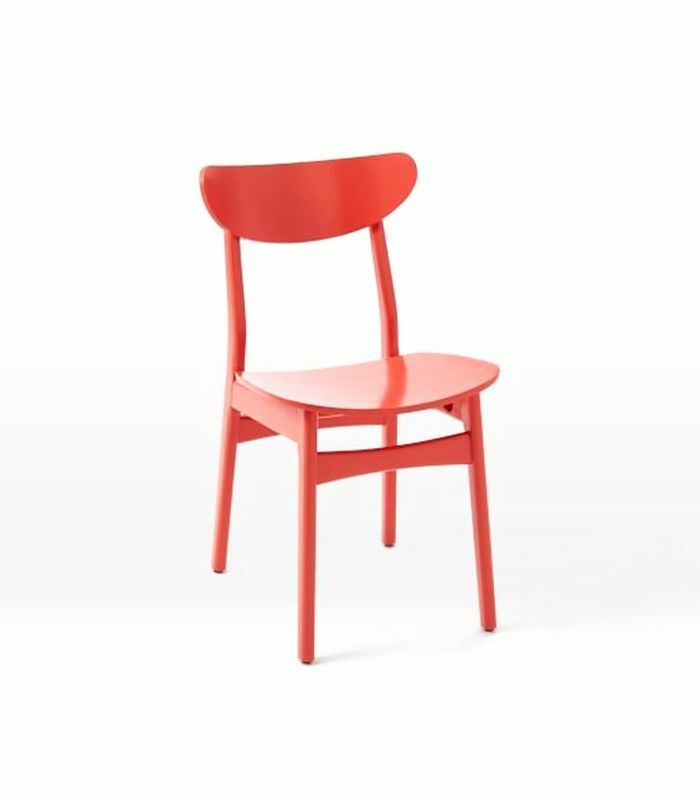 I am all for embracing color this summer, and these orange dining chairs with a light American oak table would look brilliant. 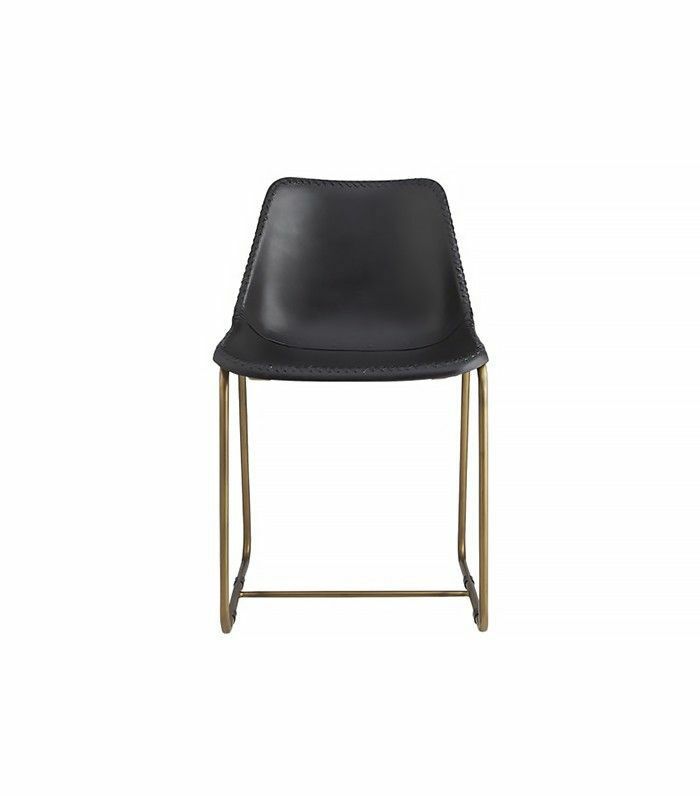 Industry West is also a great resource, in particular, their collection of dining chairs. I love the Cobble Chair as a contemporary, comfortable, and sleek version of your classic generic upholstered dining chair. The charcoal fabric is appealing for certain family members that end up with more food on their chair than in their mouths. 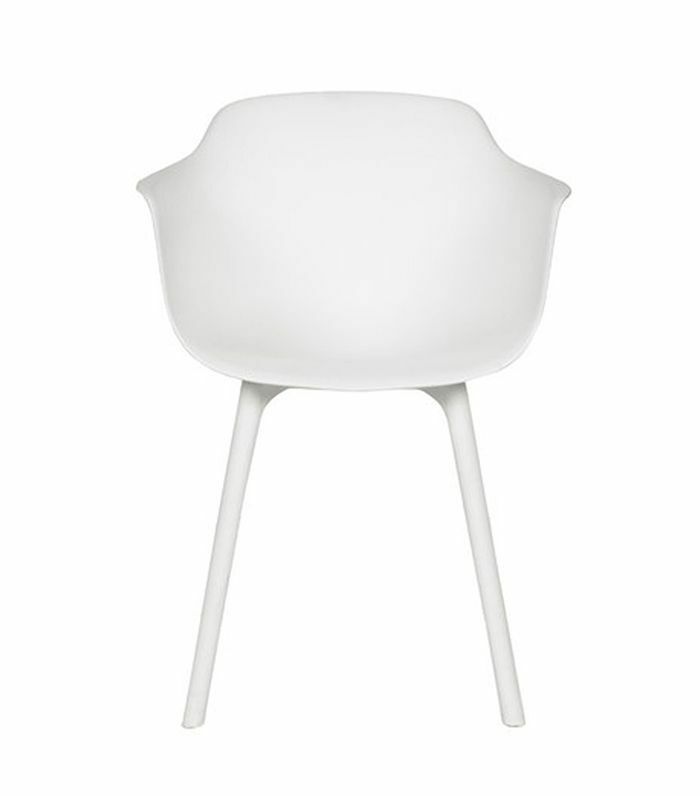 AA: I'm a fan of the classics: Eames chairs, Tulip chairs, Kartell Masters, and so on. It's great to invest in stylish statement chairs for your dining room as they really elevate the space. So if you can only afford two cool chairs at a time, no problem. Stick to the rule of pairs and team with an inexpensive chair, stool or even bench while you build your collection. The classics are best spiced up with something kookier. It could be a flea market find or a brand-new high-street piece. I love slightly worn-looking leather chairs. Places like French Connection and CB2 are doing some great pieces at the moment. Finally, in larger, grand dining spaces, I like to knock it out of the park with one or two jaw-on-the-floor statement chairs: Our Louis gold hand chair and Saloon barrel chairs are just the thing. What is your number one rule for mixing chairs? TR: I have a more structured and contemporary aesthetic, so when I mismatch chairs I like to have some sort of unity, or cohesiveness to ensure the story flows nicely. I love the idea of a mixture of dining armchairs, dining side chairs, and dining stools all working together as one set, just like the image below. Here they are all the similar height and are either black or natural wood. AH: Always mix and match in pairs. I do this all the time. It will make the scheme feel more cohesive if each chair is part of a couple. 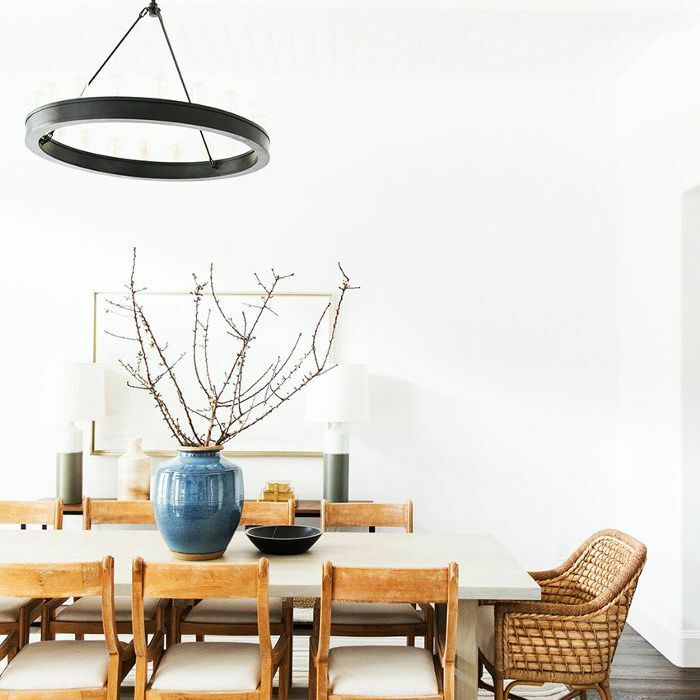 Follow the advice of these designers to master the art of mismatched dining chairs. The playful and eclectic trend has a place in your home. This post was originally published on July 19, 2016, and has since been updated.